The Sixth Element Materials Technology is a Chengzhou, China based company that develops and produces graphene and graphene oxide materials. The company recently opened a sales office in Europe, and appointed Bernhard Münzing as sales director. Bernhard was kind enough to participate in an interview with graphene-info. Bernhard is an industrial engineer with a focus on chemistry, who has held different positions in sales, materials management, marketing and business development in big as well as medium sized chemical companies. Q: We understand that The Sixth Element (T6E) currently produces graphene flakes and graphene oxide, in a 100 ton/year plant in Chengzhou. Is that correct? Can you tell us anything regarding the current production plant? We have a current production including a pilot equipment of 110 t/a graphene oxide respectively 55 t/a graphene in our Changzhou plant. The plant is state of the art and highly automated. Q: What kind of materials do T6E offers? What are the target applications? The Sixth Element (Changzhou) Materials Technology offers different grades of graphene oxide including water based suspension as well as different grades of graphene specifically designed for the different applications. Also graphene suspensions are available. Currently we focus on coatings, polymers (plastics, composites, fibre), rubber and batteries. Q: Are there any commercial producers/mateirals that use your graphene additivies that you can share with us? Q: T6E is also working on its second production plant, and this one will have a capacity or 250 t/a of GO or 125 t/a of graphene flakes. Any updates on that new plant? 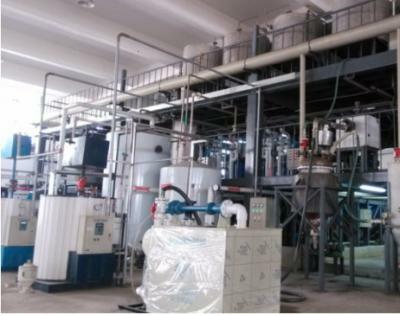 We currently install a second production line, which will bring our total capacity to 250 t/a of graphene oxide respectively 125 t/a of graphene. The line is just about to come on stream. Q: T6E aims to mostly be a material provider and not a graphene application developer. Most analysts think that the market for graphene materials will remain small in coming years. What is T6E's view on that? Is it a viable business, just to provide materials? The Sixth Element (Changzhou) Materials Technology develops applications for graphene offering this confidential know-how to customers under non-disclosure agreements. Customers will finally buy our graphene material and use in their products. We are convinced that this will boost the graphene market quicker as a lot of customers can participate. In special cases we have development contracts with selected customers. 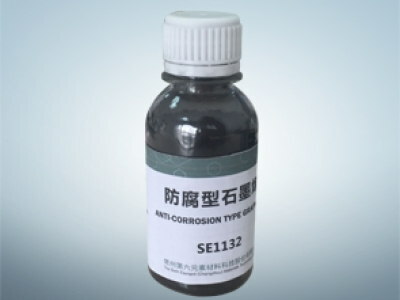 Q: In December 2015 T6E launched a new graphene-zinc anti-corrosion primer. Is this primer now available commercially? Will T6E continue to develop such materials, or will the focus remain on basic graphene material supply? The technology was developed and patented by The Sixth Element (Changzhou) Materials Technology. There is currently one licensee which is using this technology and is offering the primer to the market. As already stated we will further develop applications and offering the know-how together with the appropriate graphene type to the customers. Q: T6E is helping companies develop graphene-enhanced batteries. Any updates on such products? When should we expect to see these batteries on the market? What are your views on the recent graphene-battery announcements from China? The Sixth Element (Changzhou) Materials Technology has prototypes of graphene material for batteries, currently tested by different customers. We expect that these customers will launch their products in 2017. Having in China the largest battery producing industry worldwide with strong R&D activities these announcements are not a surprise to us. They are serious. Q: T6E recently launched a European office. What can you tell us on that activity? What are T6E's plans to reach global graphene customers? The Chemical Industry in the EMEA region is at the forefront of new developments in materials and life science with a lot of hidden world champions. The task of the European office of Sixth Element is to set up business relation and sales with these champions. The European office is the first step to establish a worldwide sales and distribution network within the next years. Thank you Bernhard, good luck to both you and The Sixth Element!